Couples lay (fully clothed) on massage tables surrounded by 12 Tibetan singing bowls. 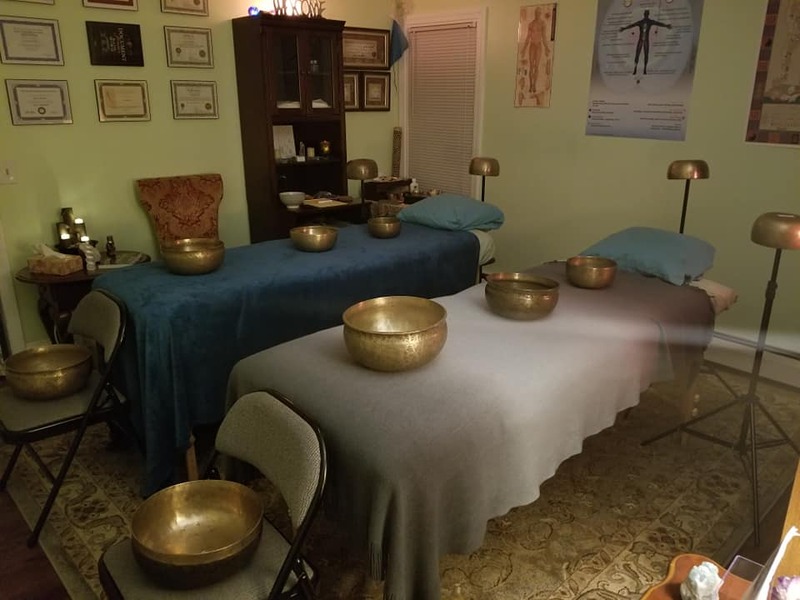 The vibrational sounds from the singing bowls, and from an arsenal of sound healing tools envelops the room and permeates the body with soothing relief, thus making the session a healing couples sound bath! This provides a highly relaxing and healing effect upon the physical, emotional, and spiritual. 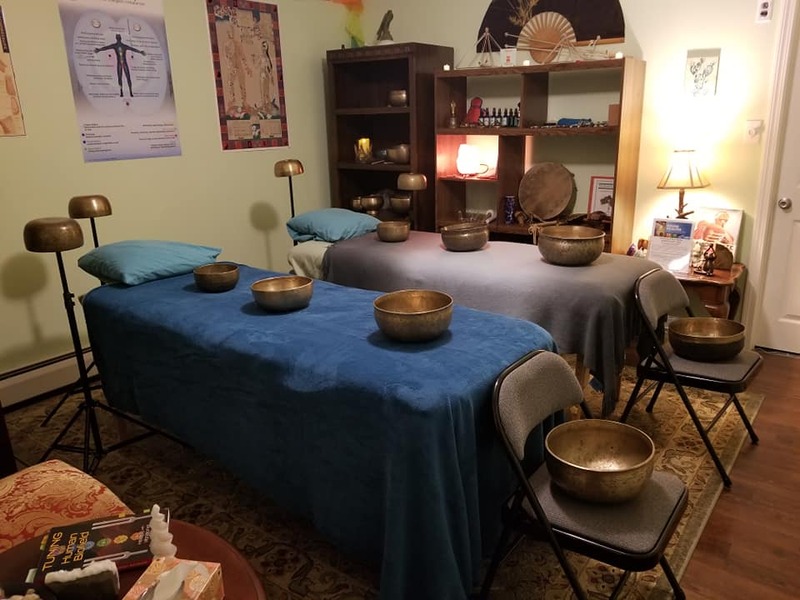 On the tables you can see my 48" rain stick, pedestal singing bowl, and ocean drums (left table), and quartz crystal pyramid and tuning fork, "Big Bertha" (12" Tibetan singing bowl), and Tingshas.